We build custom signs that build your audience. Your brand speaks. People Listen. We love building signs—we really do. From design, permits, construction and installation to maintenance, we’ll take care of it all. Whether a family-owned business or a national chain, expect inspiring models, a responsive staff and a smooth process. We’ll do it right the first time, every time. Every custom sign we design and build has the attention and love from each and every employee at SignArt. It’s always hard to say goodbye when it’s installed. We get hands-on when it comes to city ordinances, federal regulations and geological complexities. We make the process as easy as possible. We work with some of the largest national chains in the country, and this gives us the opportunity to help out your small business right down the street. SignArt has the knowledge, equipment, and industry experience to continuously push the envelope in custom sign design. We work hard to take concepts and make them reality by taking advantage of ever-changing technology and staying at the forefront of the industry. Our work speaks for itself, we never cut corners to “get the job,” instead our fabricators take the time to comb through each job internally and externally for a finished product that will stand out for years, not months. That’s the SignArt difference. Digital signage solutions that transform your advertising! Drive traffic into your stores using our on-premise, exterior digital signage solution. Evolocity is specifically developed for multi-unit, centralized marketing operations. 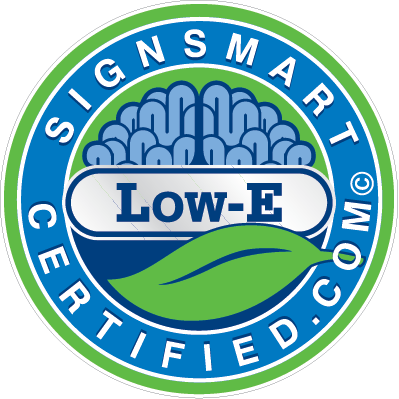 SignArt is Michigan’s only manufacturer of SignSmart Certified sign products and services. We use SignSmart’s sustainability guidelines to reduce a sign’s lifetime carbon footprint. A SignArt product is good for your brand and good for the environment. Our trained staff produce low-energy designs with the latest technology and best environmental practices. Your signs work hard for you. They withstand the harshest of winters, and the beating sun of summer. Taking good care of your sign is how you say ‘thank you’. From changing bulbs, touching up paint, or fixing an unfortunate dent, we’re available to help you. So let’s take care of that hard working sign, together. We’re good at making signs. We’ve been doing it for decades. Our entire staff stays at the leading edge of sign design, merging technology and environmental responsibility. Smart and efficient, we’ll add value to your sign and to your brand. We say igniting brands because that’s what our signs do. Our signs work, for you—for your customers.